This beautiful 55 card deck is designed to guide you on your journey through lifes ups and downs. 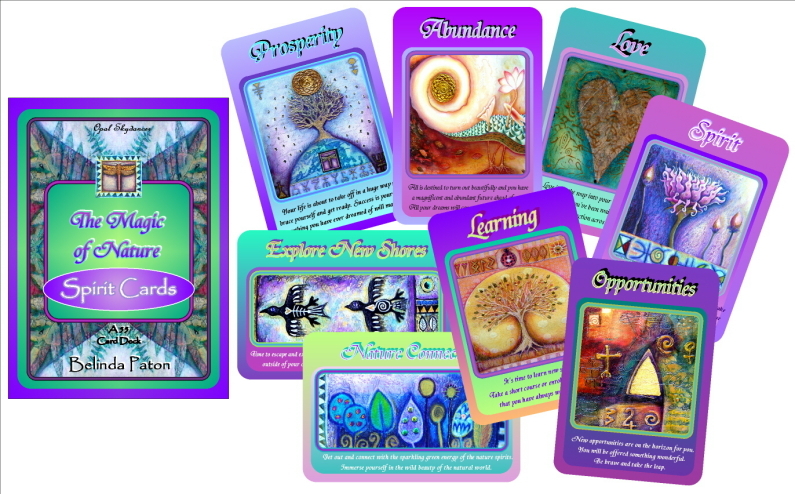 Each inspirational card will help you to decide which direction to take next or where to focus your energy first. You can ask for help on anything and the "Nature Spirit Cards" will gently show you the way. SOLD OUT - More stock arriving soon!